I can still hardly believe it as I look down at my notes, "10th and 12th grade", my last 2 budding students and I only have a few short years left! It's "Planning Season". The years of notes come out as I browse my carefully-kept thoughts for myself so as not to repeat the same mistakes or remember to try (or repeat) new and better things. 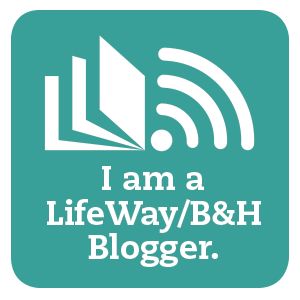 There were times, in the beginning, when I worried too much and wondered too much if I was doing the right thing - those new and floundering homeschool mommy doubts. Then came the in-between years where homeschool burn-out threatened. I LOVED teaching. However, it seemed every time I turned around we faced one challenge after another. At times I grew weary. Part of me actually looked longingly ahead to the day I handed out that last diploma and 'got my life back'. There's some hard truth. But then God's Word to persevere and Charlotte Mason's inspiration to teach gently - life began to get better! I had so much fun teaching (though quaking at times) through elementary. Art projects and easy-going days because, after all, it was all due to repeat... so if we missed reducing fractions or how a butterfly's wings worked.... no big deal, it would come back around. Now we are in the days of 'last-chance'. If it isn't taught NOW then, *GASP*, they will graduate not knowing the thing... scary. Yet, the more I push through this high school homeschool track, the more I love it too. We can still do art projects and have easy-going days, the context is just different. I don't mind the 'pressure' of 'last chance' so much anymore: it creates drive for us all. I have come to love the challenge of this stage, and the many ways teaching grows me. I'm so grateful God called me to teach my children so very many years ago. From the early days of guiding them in learning numbers, letters, and how to read, all the way to handing that first homeschool diploma to my older daughter last year. And while I didn't homeschool my oldest son outside of preschool, now 23 (see bio) watching his University Graduation this year opened my eyes to the horizon of new and different things just a short distance away. So, for now, I lay out my plans, another year grown and sharpened and ready to teach. Taking my own advice to new homeschooling moms, I have waited till July to pull out my notes and books and copied lesson plan pages to begin filling in. Hope and prayer filling the pages because a school year without the foundation of God is already set to fail! As I move through the texts and dream of how we can explore the content, I also prepare to really soak up every moment of every day God blesses me with teaching my charges. It isn't just about what we learn from our books, it is also about leaving high school prepared, and wanting, to keep learning. I will miss the mess of planning month with papers and books sprawled everywhere. I will miss the 'busy' of homeschooling days (even the struggling ones!) when they are gone. More than mere words can describe. I.will.miss.these.days. For all you homeschool mamas out there... whether you are just starting out, or an old hat with years under your belt... I pray you would treasure each moment (even the hard ones). Keep your eyes on Jesus and the God who called you to be "mom". Be strengthened in the Spirit to persevere and treasure this season of life God has blessed you with... even on the hard days, it IS a blessing! It may not seem like it now, but you will miss these days! The last gasp is scary. I've got just one more year with my youngest and there are so many things I'd like to do with her and there is no way to fit it all in. Luckily I don't think we've forgotten to cover anything crucial. It's more all the nice-to-have-dones. There'plenty I thought I'd like to do one day with one of the kids and now she's my last chance. Or I'll just have to do it by myself. I hear ya! Some of ours is crucial because of ministry work and, most recently, illness in family living far away I have needed to go help with. Thankfully, nothing is so much we can't catch up, but still. More than anything I think it is like you said, things I'd just like to do with them! I guess we'll do what we can! I am no way near the end with my boys but I am starting to realize that there is no way we're going to cover it ALL. Trying to savor each moment as it comes because I know it's going to go by so fast. That is great to see you are 'savoring'! I'm always reminded that no one can cover "all", it feels like we need to but realistically.... even public school doesn't. So ours becomes a role of equipping not with facts but with the tools to get at those facts... and inspire an inquisitive mind to always want those answers! Blessings to you and your boys as you study and enjoy! I love this post. :-) Yes, treasure each moment - each grade - each age/stage as your children grow up. For my entire motherhood I've found myself responding to the question "what age is your favorite?" with "This age!! Where they are now!" 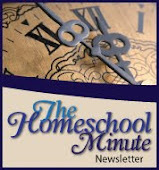 Thanks for linking this at Homeschool Highlights! Thank you Kym, I agree... all the ages and stages have their perks and blessings (and challenges too!). Thanks for stopping over!